LONDON (Reuters) - Failed Icelandic bank Kaupthing is seeking banks to coordinate the listing of its domestic arm Arion, according to sources familiar with the matter, a sign it believes there is renewed investor appetite for the country's assets eight years after a financial collapse. 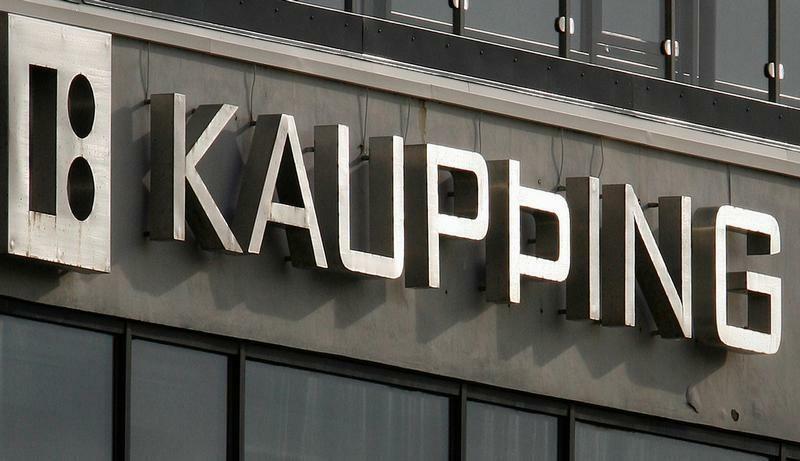 Kaupthing - now a holding company - has asked banks to pitch for possible roles such as that of global coordinators of an initial public offering (IPO), which will most likely be a dual listing in Stockholm and Reykjavik, two sources told Reuters. This could value Arion Bank at about 1.5 billion euros ($1.6 billion), they said. Earlier this year, it mandated Citi and Morgan Stanley as IPO advisers to do the initial preparatory work, the sources added. A flotation could mark a tentative step towards Iceland's rehabilitation in the global financial system, almost a decade after its banking sector collapsed and it became the first western European country in more than three decades to be bailed out by the International Monetary Fund. It would also represent a test of whether investors are ready for exposure to its economy. The country is now lifting capital controls imposed during the crisis in 2008, which have isolated it from international financial markets. It could fully remove the controls next year in a process that has helped earn it a credit-rating upgrade and boosted its currency. Kaupthing and Arion declined to comment, while Citi and Morgan Stanley were not available for immediate comment. Iceland received a $2.1 billion IMF loan in late 2008, and another $2.5 billion from its Scandinavian neighbours, as its banks buckled under the weight of huge debts amassed over years of overseas expansion. The money was needed to protect domestic deposits and keep its currency from crashing further. Kaupthing - a major international bank at the time, and Iceland's largest - went into administration and its domestic operations were separated and renamed Arion Bank in 2009. In late 2015 the company reached an agreement with its creditors who became its shareholders. It owns 87 percent of Arion, which includes insurance, asset management and retail banking assets, while Iceland's government owns the rest. The Icelandic finance ministry was not immediately available to comment. Kaupthing's assets were valued at 800 billion Icelandic crowns ($7.16 billion) at the end of 2014 while its outstanding claims amounted to 2,826 billion Icelandic crowns. By contrast at the end of 2007, Kaupthing's assets including foreign subsidiaries and branches stood at 5,347 billion crowns. A new board was appointed after the deal was struck with its creditors and Paul Copley, who was one of the main administrators for Lehman Brothers International (Europe) after its collapse, was selected as chief executive to help with "the controlled monetisation of Kaupthing´s assets". Arion made net earnings of 17.3 billion crowns in the first nine months of 2016. It had 1,189 employees and 1,038 billion crowns in total assets at the end of the third quarter. The lender, which operates solely in Iceland, said in June that it was considering an IPO, but its owners' move to seek advisers indicates the plans are now more concrete. Sources told Reuters earlier this week that Kaupthing was looking to sell its British high street retail assets including Coast, Oasis and Warehouse.